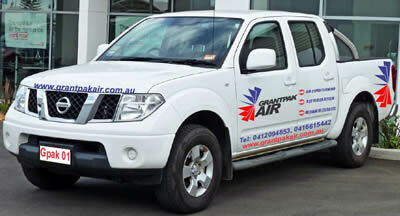 Grantpak Air are your local professionals for all your air conditioning requirements. 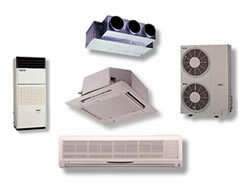 Are you looking for an affordable, high quality, air conditioning solution? Whether you’re looking for the installat ion of a new system, or repairs and maintenance to an existing system, you will get quality service and workmanship with Grantpak Air. Providing an extensive range of quality solutions and expertise, you will also have access to the best brands on the market. Selecting the right air conditioning system for your requirements can give you significantly better results both in being able to maintain your ideal environment, but also in terms of energy usage and system longevity. At Grantpak Air, our expertise helps you do exactly that, ensuring that your solution continues to provide superior results year after year. With air conditioning solutions that focus on maximum efficiency, value and reliability, Grantpak Air services the greater Brisbane metropolitan region. For more information about our services and the types of air conditioning solutions we can provide, click here. When you’re investing in a system to maximise the enjoyment of your living or working space, we understand the need for reliability and confidence in your solution. That’s why, to ensure that your air conditioning solution continues to give the very best results for your requirements, Grantpak Air works with brands that support their systems with a 5 year manufacturer warranty. This means that the solution you enjoy today, will continue to add to the comfort and enjoyment of your home or office for years to come. At Grantpak Air, we know that’s important to you, and so it’s our absolute priority to ensure you get the best solution. Excellent service! Very reliable and professional. Titus from Grantpak Air did a good job on repairing the air conditioner. I recommend him.